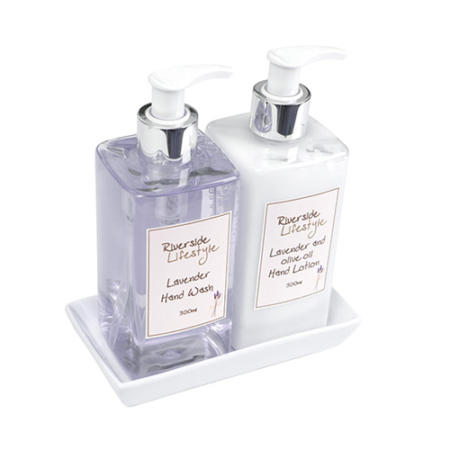 Stylish lavender hand wash and lavender and olive oil hand cream set. 300ml each. Pump action bottles.